Beautiful New Construction. French Country Architecture. Two story Foyer with wrought iron staircase. Vaulted ceiling in Great room. 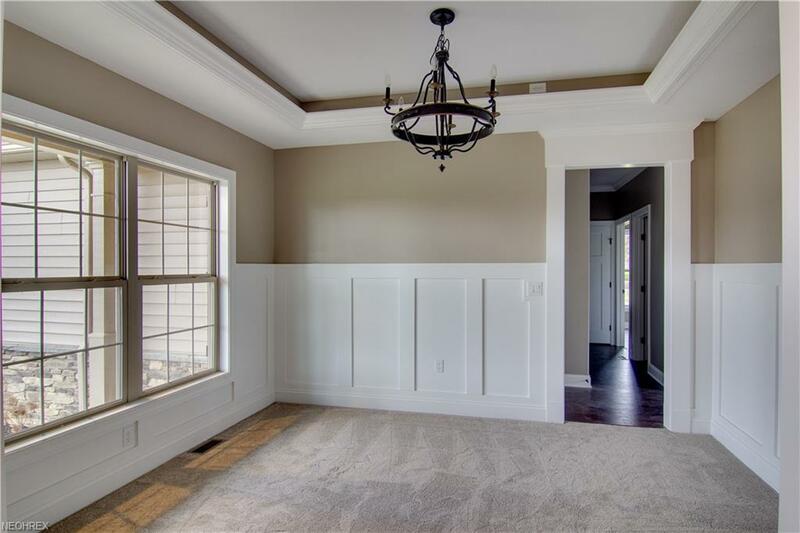 Trayceiling and wainscot in the Dining room. Hardwood flooring, Granite counters, Ceramic flooring in baths. First floor Owners Bedroom withvaulted ceiling, 9 ft walk in closet and luxury bath. Full tile shower. Large Laundry room on first floor. 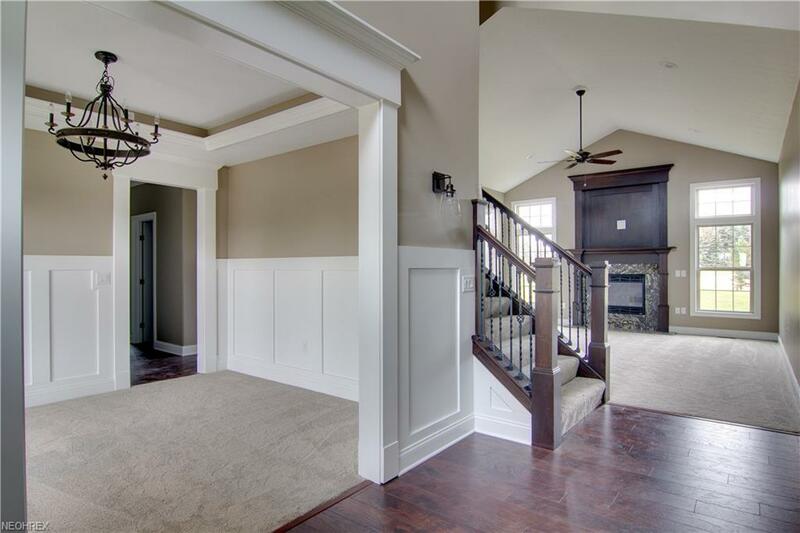 Large, gracious entry off garage toMud room and Laundry. 3 Car garage. Second floor with 3 bedrooms and two baths. Big en suite Guest room. Study loft on second floor thatis perfect for quiet time study or just relaxing. Lower Level with rough plumbing for full bath. Purchaser can pick flooring of choiceprior to builder order. Landscaping, Drive, and sidewalks included. 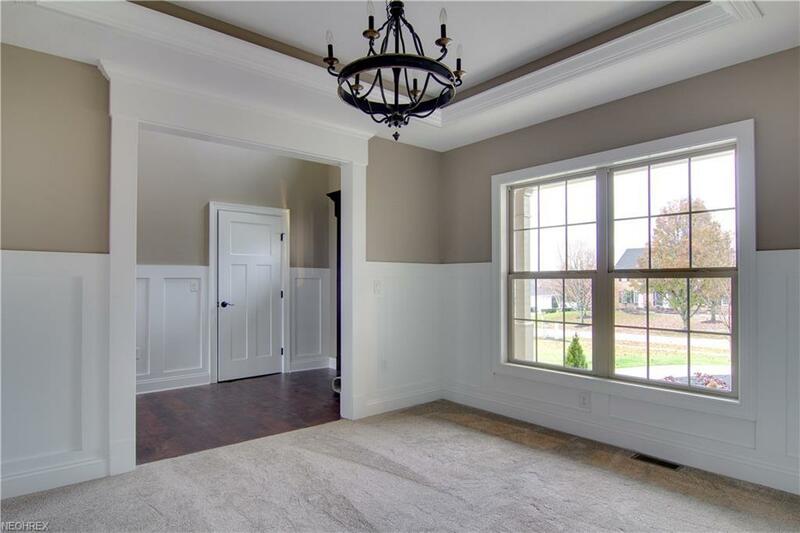 Over-sized moldings, rich custom hardwood fireplace surround. 9 ftceilings on first floor. Stainless steel appliances, upscale lighting and fixtures. Many features to numerous to mention. Full Builder warranty. 30-minutesfrom Cleveland, 20-minutes from Akron. 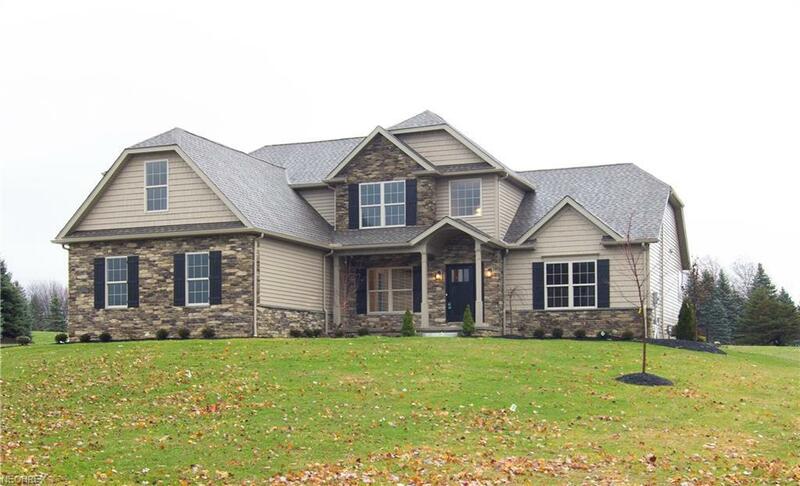 Home owner has option to join Fox Meadow golf/country club for additional fee.